For too long, women’s stories have gone unheard. We stand with women who have experienced sexual misconduct. There is no room for sexism in our government or the workplace. The time to listen and act is well overdue; the victims of Senator Daylin Leach deserve justice. The investigation into his actions is a first step towards accountability, but we need more. 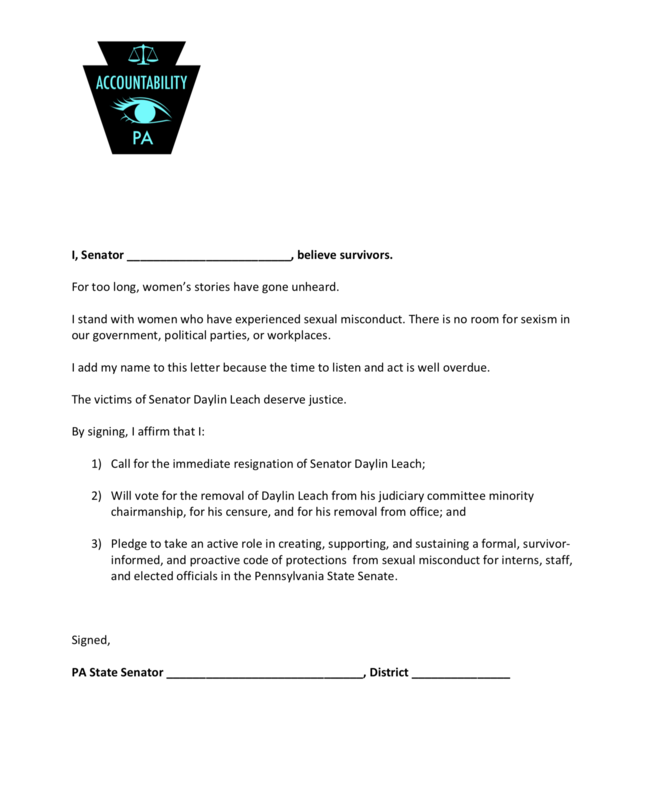 3)	pledge to take an active role in creating, supporting, and sustaining a formal, survivor-informed, and proactive code of protections from sexual misconduct for interns, staff, and elected officials in the Pennsylvania State Senate.